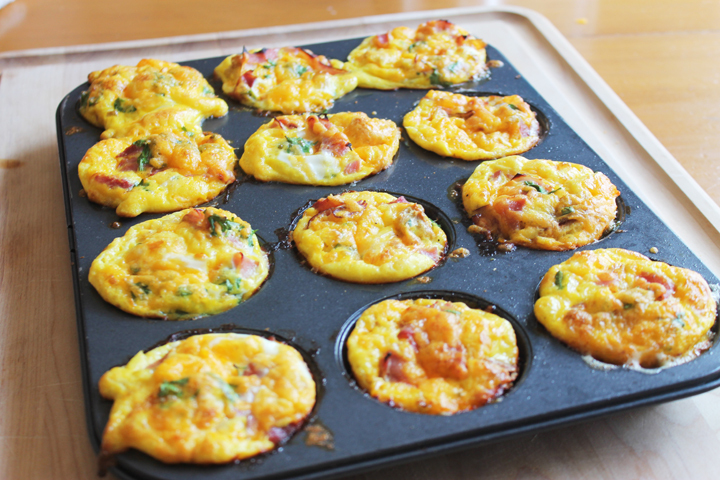 Try these neat quick breakfast choice at your KES Clubs. Children can enjoy some fresh fruit and a delicious breakfast muffin all on one stick. What makes it even better is that they are great for grab and go breakfasts too – at home or at your KES Club! Give them a try. Cut muffins into cubes. Cube or slice fruit. Layer your kabob stick with the fruit and muffins (you may want to be careful with sticks with sharp points for younger children – find an alternative). Serve and enjoy! admin http://www.kidseatsmart.ca/wp-content/uploads/2018/07/KidsEatSmartColour_Logo_340x156-300x138.png admin2017-05-30 11:51:282017-05-30 11:51:28Muffin and Fruit Kabobs! Smoothies are always a great way to treat yourself to a cool delicious treat. Using fresh or frozen fruits, limiting juice and using water instead, and adding yogurt to create that creamy texture all tend to make this a nutritious snack filled with nutrients. This weekend I was craving an ice cream, but as a healthier option I decided to make a cool delicious smoothie. The only frozen berries I had were blueberries, but I had some watermelon and kiwi in my fridge that I had to use up. So I threw everything together and made the most delicious smoothie – give it a try! Add all ingredients to blender or Magic Bullet (what I tend to use for single servings). Blend until smooth. Enjoy! admin http://www.kidseatsmart.ca/wp-content/uploads/2018/07/KidsEatSmartColour_Logo_340x156-300x138.png admin2017-05-25 11:49:202017-05-25 11:49:20The Smoothie Mix Up! More often than not, we tend to exclude veggies from our breakfast and focus more on fruit – I get it! Fruit is sweet and juicy and is a great addition to any breakfast meal, but veggies can be too! We have some KES Clubs that serve peppers, carrots and other veggies at breakfast, but the majority do not. I came across this great read from Super Healthy Kids, read the below tips and just as it suggests try adding more veggies to your kids breakfast as home, as well as your KES Club. Vegetables are among the most nutrient-dense foods on the planet, so it only makes sense to start fueling kids’ bodies with them first thing in the morning. Leafy greens like spinach, kale, and chard, and orange veggies like carrots, sweet potatoes and butternut squash pack a big nutritional punch. But try all kinds! They all come with a healthy dose of vitamins, minerals, and fiber. Kids learn what normal eating looks like meal by meal, year by year. The more you serve vegetables with breakfast, the more kids learn that these foods belong on the table at breakfast–and every other meal. Once it becomes a habit, you can count on your kids to notice that something is “off” when veggies are missing from breakfast. 3. Expand your menu options. Tired of oatmeal, yogurt, and scrambled eggs? Try frying an egg in a bell pepper, spreading refried beans into a tortilla with tomatoes, or baking up some Sweet Spinach Muffins. Get excited about new flavors and colors in your family’s breakfast! 4. Work with kids’ unpredictable eating habits. The more chances kids have to eat vegetables, the more chances they have to say YES! Use kids’ unpredictable eating habits to your advantage, and serve veggies in the morning. Speaking of unpredictable, sometimes it’s hard to know which direction your family’s day will go. So it pays to get a head start on veggies first thing in the morning. Then, if you end up having pancakes and fruit for dinner, you can feel confident that your kids got a chance to choose veggies at least once or twice in the day. Well the “May 2-4” weekend is upon us once again! While it’s the unofficial start of summer for most people, especially those who enjoy camping, the weather may be suggesting differently. For most of us, the weather is not about to hold us back from enjoying this long weekend. When you’re at your cabin or camper this weekend, try this campfire French toast over your fire. It will be a great treat on what’s sure to be a chilly morning. It looks delicious; I may try it myself at the cabin. Enjoy and have a safe “May 2-4” weekend! Wrap the loaf of bread in parchment paper, then in foil loosely so the bread slices fall slightly open. Sprinkle the sliced almonds/pecans in the same way as the diced strawberries over the loaf. Wrap the foil and parchment paper tighter around the loaf of bread. Pour the French toast egg mixture evenly over the entire loaf of bread before wrapping tightly with a top piece of foil to ensure no leaks. Place over the campfire for approximately 35-40 minutes, moving around occasionally to cook evenly. If the bread looks soggy still, cook slightly longer. Remove from heat and let sit for 10 mins before serving with yogurt, syrup (optional) and sliced strawberries. While some parts of the province haven’t quite heated up just yet, some of you are enjoying warm spring weather. With the warmer weather many of us like to enjoy treats that are refreshing and cool. Try these delicious yogurt bites. We’ve shared this recipe before and they were a hit at many of our KES Clubs. You can try these at home or while camping as well…the kids are sure to love them! Place the muffin liners in the muffin pan. Spoon yogurt in each to the amount that it at least covers the bottom of the liner. Place a few berries or pieces of fruit on top of each. Freeze, serve and enjoy! http://www.kidseatsmart.ca/wp-content/uploads/2018/07/KidsEatSmartColour_Logo_340x156-300x138.png 0 0 admin http://www.kidseatsmart.ca/wp-content/uploads/2018/07/KidsEatSmartColour_Logo_340x156-300x138.png admin2017-05-16 17:33:332017-05-16 17:33:33Yogurt Bites! Frozen Yogurt Covered Fruit Pops! It’s always nice to step out of your routine from time to time, even when it comes to breakfast and snacks. Try this yummy treat at your KES Club or at home, it’s not only fun and delicious but it’s fairly simple to make. Get your children involved if you can, they will enjoy being a part of the meal prep process. Enjoy! In a bowl, combine yogurt and honey. Place the bowl in the freezer for 5 minutes to thicken back up. Slice fruit into large slices that will fit on a stick. Keep strawberries whole. Prep the desired toppings and place on a plate or in separate bowls. Insert sticks into fruit. Dip fruit into yogurt using a spoon to help spread the yogurt over the fruit. Sprinkle desired topping over the yogurt covered fruit. Place the dipped fruit pops on a baking sheet covered with wax paper or parchment paper. Place in the freezer for 2 hours or until the yogurt is frozen. Remove from the freezer and serve. Enjoy! admin http://www.kidseatsmart.ca/wp-content/uploads/2018/07/KidsEatSmartColour_Logo_340x156-300x138.png admin2017-05-11 14:35:082017-05-11 14:35:08Frozen Yogurt Covered Fruit Pops! http://www.kidseatsmart.ca/wp-content/uploads/2018/07/KidsEatSmartColour_Logo_340x156-300x138.png 0 0 admin http://www.kidseatsmart.ca/wp-content/uploads/2018/07/KidsEatSmartColour_Logo_340x156-300x138.png admin2017-05-09 15:11:092017-05-09 15:11:09Eggs, Eggs, and Eggs! I’m not sure if it was just me, but this winter seemed extra long! I’m so happy to finally see the snow melt and the warmer temperatures come our way. While many people were lucky enough to get away over the winter months, to enjoy some sun and sand, many of us were here enduring the snow and cold. While the temperature outside is a little warmer we are still being hit with some winter weather. Tomorrow morning, or anytime in the next couple of weeks, try making this yummy “Sunny Hawaiian Smoothie” it will take you to the sunny south that you’ve been dreaming of all winter long….and it’s perfect for Spring! Add the ice, pineapple, and bananas in a blender; process until smooth. Add the orange juice and yogurt and blend. Pour into cups. Serve immediately. You can garnish the side of the glass with a pineapple slice for decoration. Enjoy! http://www.kidseatsmart.ca/wp-content/uploads/2018/07/KidsEatSmartColour_Logo_340x156-300x138.png 0 0 admin http://www.kidseatsmart.ca/wp-content/uploads/2018/07/KidsEatSmartColour_Logo_340x156-300x138.png admin2017-05-02 14:28:132017-05-02 14:28:13Sunny Hawaiian Smoothie!